GreatDomains is a 7-day long auction by Sedo, from October 19-26, featuring an eclectic selection of domain names. The domains are carefully curated, and this time around we have almost two dozen domains included on the list. Oktoberfest has ended in Germany, but in the US it’s going full blast, so grab a beer and get ready for our selection of “Seven with Sedo” from the October list. HotList.com – Whether blonde, brunette or redhead, German ladies are on our hot list. What’s on yours? CXP.com – Three letter .com with purely “Chinese premium” letters. NaturalBeauty.com – Domain with traffic, makes a great gift for your girlfriend or wife so that you’ll keep on spending endless amounts of time speculating on domains. ANI.com – Animation is a great new use of augmented reality. Be an animal about it, and bid on this purely Western letters domain. Footballer.co.uk – We call it soccer in the US, but the real football is British; so is the .co.uk TLD. Get ready to score big with this domain, mate. Debauchery.com – Some domainers live the lifestyle, and who are we to judge. Perfect name for a fashion or other creative brand. Low reserve. Este.com – Spanish for “East,” this short, dictionary domain would be great for the large Hispanic market, quite possibly as a brand. Este LA, amigo! To search the full domain inventory of the GreatDomains auction for October 2017 click here. Thanks for sharing. 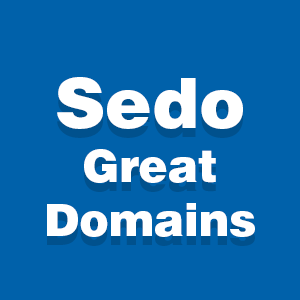 As a domainer, I do love sedo –a good trading platform for domains, I also have a lot of premium.top domains available on sedo , if you are interested please contact me.